Weapons of Choice 3: Artificial Nocturnes. 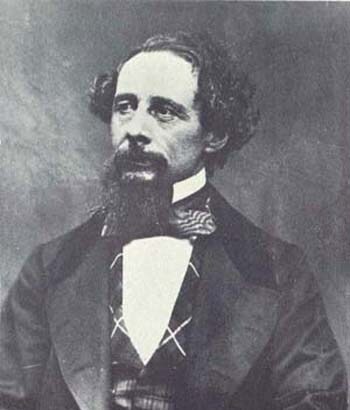 Charles Dickens; the beginning of modern fandom? The “Dickensian” 19th century is probably where by loose mainstream (not to mention Western, and thus probably predominantly male) definitions, we start to become able to easily recognise cultural and social touchstones as being not too dissimilar to our own. The everyday stuff; shopping, clothes, streetlamps, street layouts, art galleries, leisure pursuits, newspapers, literature, music etc. could all be considered to be loosely the same. Whilst we might be thrown off by a 15th century Florentine street scene (unless we’ve played a lot of Assassin’s Creed), we can look at a photograph of Christmas shopping in the 1870’s and say “Oh, Oxford Street!” We don’t have any difficulty accepting gaslight gradually morphing into the beginning of municipal electricity usage, the hansom cab, gentlemen in bowler hats, ladies in corsets and crinolines and Jack the Ripper as all having been iconic components of this period. What’s my name? Yeah, it’s a byword for poverty, cruelty, deprivation and urban horror. That’s how I roll. A far as successful British 19th Century writers were concerned Charles Dickens was the commercial equivalent of J. K. Rowling. He was huge, without doubt the most popular novelist of his time and place. There are numerous possible reasons for his overwhelming popularity, but one deciding factor would be the broad nature of his readership. He wrote for everyone, and he did it at a shilling a go. A nicely produced hardback book could cost up to a guinea, for many that would be a luxury too far. Dickens weekly parts were cheap, plentiful and conformed to a standard that had been popular since the end of the 18th century. 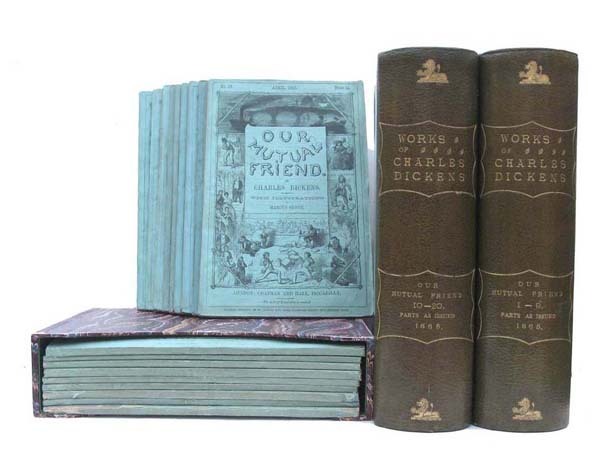 Dickens’s most famous works were serialised, most often appearing in 19 weekly parts bound in powder blue decorated paper and accompanied by illustrated engravings. “Great Expectations” on the other hand was serialised in “All The Year Round” from December 1860 under Dickens’ editorship. Thus for those of us whose purses didn’t run to building a library; periodicals and part publications were the way to go for a regular fix of excitement, romance and adventure. It’s easiest to envision the illustrated parts as episodes in a TV series. Each one was likely to end with a dilemma or some sort of a cliff-hanger and the readership would wait in eager anticipation to discover the next event in the life of Oliver Twist or Nicholas Nickleby. The only people to get their hands on each installment in a timely fashion would be people living in the larger cities. Copies would be distributed from person to person, read around firesides and gossiped about in cafes and railway carriages. Those who were living abroad during the height of British Imperialism could and did wait months for their prized periodicals to arrive and break the dreadful monotony of Company or Crown service overseas. They weren’t just appreciated and read as entertainment; they were shared and communally devoured as a pure and accessible form of escapism. This then appears to be one of the components of a flourishing fandom: A “readership” that stems from many different walks of life coupled with the shared anticipatory experience of waiting. In addition it also needs the kind of social structure that permits a form of leisurely speculation as to motivations and physical and emotional repercussions on the part of the characters. There must be “gatherings” of followers discussing how Nicholas would get Smike free of Dotheboys Hall. Nowadays the arena of fandom is incontrovertibly the internet…enough emotional energy has been expended on Tumblr to determine any potential for a relationship between Molly Hooper and Irene Adler, or the possible sexuality of Stiles Stilinski (which incidentally is something the show’s writers don’t even seem to see as an issue…crucially it’s the fans who desire and discuss the boundaries and the labels, who take and own the characters and settings) to power a medium sized Chinese city. 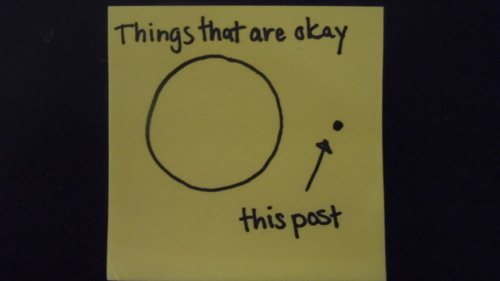 In the mid to late 19th century Tumblr, Twitter and Facebook would have been the after supper fireside or a walk in the park or the parlour in the evening…Dickens, Collins and many of his contemporaries ran a regular circuit of talks, lectures, amateur dramatics and informal gatherings, pretty much the pre-internet equivalent of posting spoilers or hosting a podcast. The emotional connection of the readership to Dickens’ characters is undeniable, and again the pre-eminence of emotional over “intellectual” appeal seems to bind a group of viewers or readers into a fandom. It’s all about the emotional impact of a narrative; identifiable characters with clear cut motivations facing unusual events in a manner with which we can empathise. It’s one thing to make us think, but if you can make us laugh like drains and sob uncontrollably week after week…you have a fandom. Dickens had struggled mightily: “I am breaking my heart over this story,” he told a friend. Dozens of readers wrote him begging that Nell be allowed to live. His close friend Macready, England’s greatest actor, after reading the final pages, wrote the author, “I have never read printed words that gave me so much pain.” It seemed everyone was grief-stricken. Lord Jeffrey, one of the nation’s leading judges, was found openly weeping by a friend, “I’m a great goose to have given way so, but I couldn’t help it.” The Irish champion, Daniel O’Connell threw his copy across the room, more in disgust than grief, claiming Dickens “had not sufficient talent to maintain Nell’s adventures… so he killed her.” When English ships reached American ports, people stood on the dock shouting, “Is Little Nell dead?” Sales of Dickens’ struggling journal Master Humphrey’s Clock rose to 100,000, many of them soon tear-stained. The parallels between reader response here and reader response to the death of Dumbledore (just as an example) aren’t much of a stretch. It’s doubtful that anyone who developed a favourite Dickens’ character ever again rested entirely easy until the last page was turned and the finale reached still breathing. Charles Dickens, Ladies and Gentlemen; The Victorian Joss Whedon. I would not be popular.